The framework CLASS4GL is designed to facilitate the investigation of the atmospheric boundary layer evolution in response to different land and atmospheric conditions observed around the world. The core of the platform is the model CLASS that is used to simulate the evolution of the atmospheric boundary layer. Instruction video about the boundary layer processes and how they are considered in the CLASS model can be found as on the CLASS model website. Observational data from balloons, satellites and reanalysis, are used to constrain and initialize the model. CLASS4GL uses 2 million global balloon soundings from the integrated global radio sounding archive and satellite data from the last 40 years. Tools for pre-and post-processing the data pool of input data and experiments. The tool is under continuous development, and it can downloaded and installed as described in the tutorials below. In case you experience a problem or a bug, please don’t hesitate to contact us. You can also open an issue on the github page. Any feedback will be highly appreciated. The 150 stations from IGRA of the reference dataset to perform and validate the ABL model simulations with CLASS4GL (see Sect. 2.2 of the CLASS4GL manuscript). The different climate classes are indicated with the colors according to the Köppen-Geiger climate classification. The markers indicate the locations of the atmospheric profiles from three observation campaigns (ie., HUMPPA, BLLAST and GOAMAZON). CLASS4GL employs the balloon soundings from the Integrated Global Radiosonde Archive (IGRA) to initialize and validate the CLASS model. The sounding data is supplemented with ancillary data to further constrain the model. 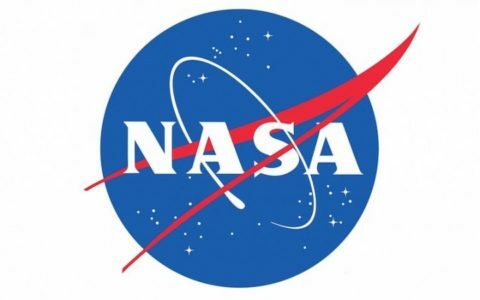 Therefore, a default set of gridded global datasets from satellite imagery, reanalysis and and surveys have been used that span a period of 1981–2015. An complete overview of the datasets can be found in the table. However, the default set can be replaced by alternative datasets as long as they are provided in netCDF format. 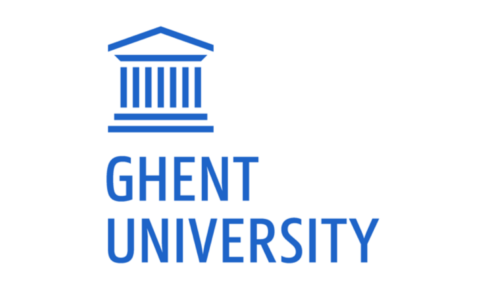 A CLASS4GL data package is available that can be directly used to perform and validate ABL model simulations and sensitivity experiments. The locations of the balloon soundings are performed for different climate regions as shown on the map. Wouters, H., Petrova, I. Y., van Heerwaarden, C. C., Vilà-Guerau de Arellano, J., Teuling, A. J., Meulenberg, V., Santanello, J. 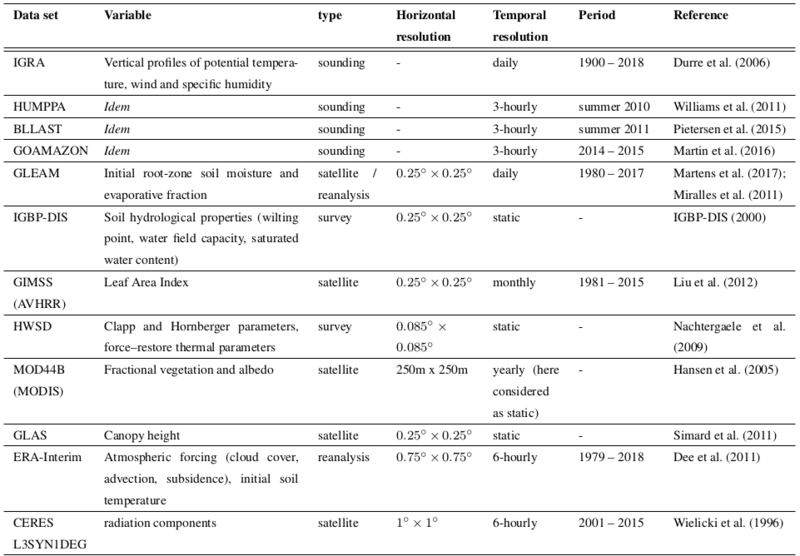 A., and Miralles, D. G.: Atmospheric boundary layer dynamics from balloon soundings worldwide: CLASS4GL v1.0, Geosci. Model Dev. Discuss., https://doi.org/10.5194/gmd-2019-24, in review, 2019. You an also open an issue on the github page. Any feedback will be highly appreciated. 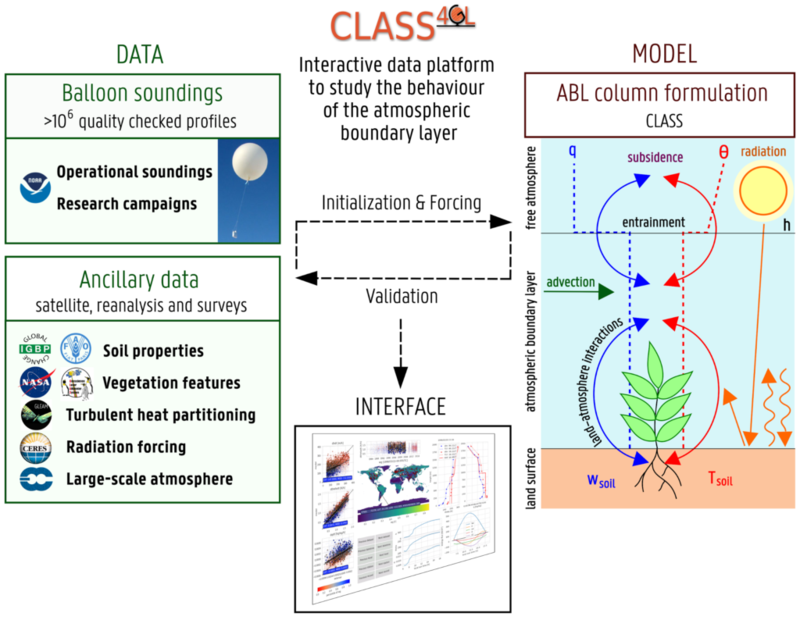 The CLASS4GL software will be advertised at the EGU 2019 as a poster in the session of ‘Land-Atmosphere Interactions: Implications from Past to Future Climate’ (AS4.20/BG1.16/CL4.29/HS11.28). 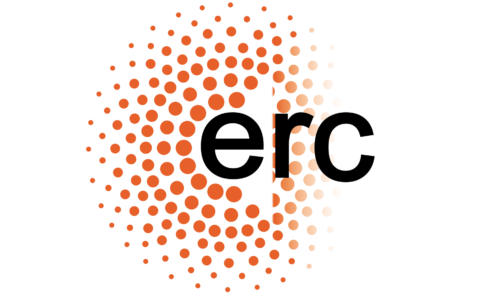 This will take place in Hall X5 on Wednesday 10 April 2019, and the poster ID is X5.342 EGU2019-9125. The key features of the software will be highlighted, including its application on the drivers of hot spells. Our attendance time is 16:15–18:00. Come check it out! There will also be the Fundamentals of land-atmosphere interactions course. During this workshop, the CLASS model will be used which is the core ABL model of CLASS4GL. The key concepts of the atmospheric boundary layer will be demonstrated interactively with CLASS. It takes place in Room -2.62, starting at 10:45–12:30 (SC1.10). 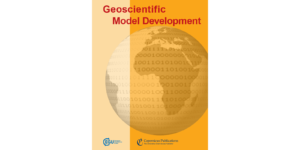 The technical description and evaluation of CLASS4GL manuscript is now available on Geoscientific Model Development Discussions. Reference: Wouters, H., Petrova, I. Y., van Heerwaarden, C. C., Vilà-Guerau de Arellano, J., Teuling, A. J., Meulenberg, V., Santanello, J. 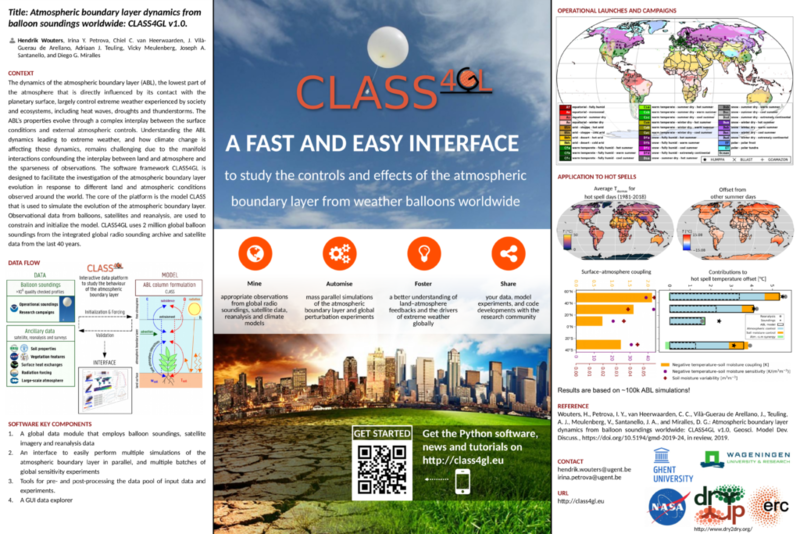 A., and Miralles, D. G.: Atmospheric boundary layer dynamics from balloon soundings worldwide: CLASS4GL v1.0, Geosci. Model Dev. Discuss., https://doi.org/10.5194/gmd-2019-24, in review, 2019. 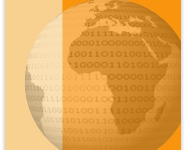 The CLASS4GL software has been submitted to the Journal Geoscientific Model Development Discussions for review!